“For celebrating Bernstein, I wanted a concert like this,” said Seattle Symphony Music Director Ludovic Morlot. “His music reminds us how generous he was in all respects, as a conductor, composer and educator." Ludovic Morlot recalls a special night when Leonard Bernstein’s “Wonderful Town” helped ring out the old and ring in the new. 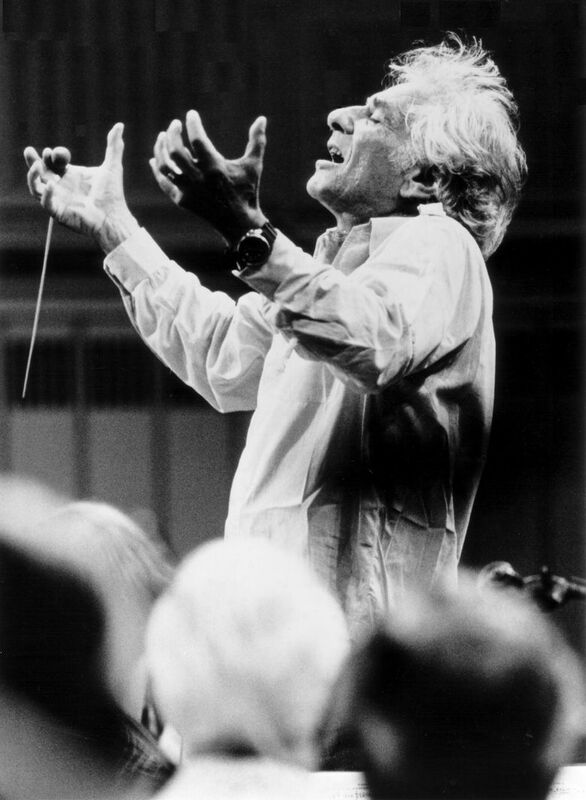 In honor of the late, larger-than-life Bernstein in 2018, his centennial year (the superstar conductor of the New York Philharmonic and composer of “West Side Story” was born in Lawrence, Massachusetts, on Aug. 25, 1918), Morlot has decided to put smiles on a lot more faces when he conducts the Seattle Symphony Orchestra, Seattle Symphony Chorale and guest vocalists in “Wonderful Town” in Benaroya Hall this month. The June 14 and 16 performances, which also feature the world premiere of “Significant Others” by SSO composer-in-residence Alexandra Gardner, and Bernstein’s 1949 “Prelude, Fugue and Riffs,” will include a staged musical version of “Wonderful Town,” which debuted on Broadway in 1953. Glamorous Hollywood star Rosalind Russell (“His Girl Friday”) and Juilliard-trained singer and television comic Edie Adams played Midwest sisters chasing careers in New York City and adapting to a madcap life in Greenwich Village. “Wonderful Town,” with a book by Joseph A. Fields and Jerome Chodorov, and lyrics by Betty Comden and Adolph Green, swept the major Tony Awards, and has since gone on to popular revivals in the U.S. and U.K. Yet for all that, none of its songs (with the possible exception of the loping “Ohio,” which would not sound out of place in a vintage, singing-cowboy movie) are as well known as tunes from Bernstein’s other works for musical theater: “On the Town” (which opened on Broadway in 1944), “Candide” (1956) and “West Side Story” (1957). That could change for Seattle audiences taking in the lighthearted “Wonderful Town,” a score that is an anomaly in the Bernstein canon, according to biographer and composer Allen Shawn (“Leonard Bernstein: An American Musician”). Shawn says “Wonderful Town” is best appreciated within the unusual context of its origins and the full scope of Bernstein’s prolific composing at the time. “Bernstein was a unique composer in terms of his relationship to musical theater,” says Shawn, who attended a 1958 revival of “Wonderful Town,” with Russell returning as Ruth, an aspiring journalist. Bernstein seemed to be everywhere, musically speaking, in those days. “He’d already written a fantastic show with Comden and Green in ‘On the Town,’” says Shawn, brother of actor-writer Wallace Shawn and son of William Shawn, the storied editor of The New Yorker. 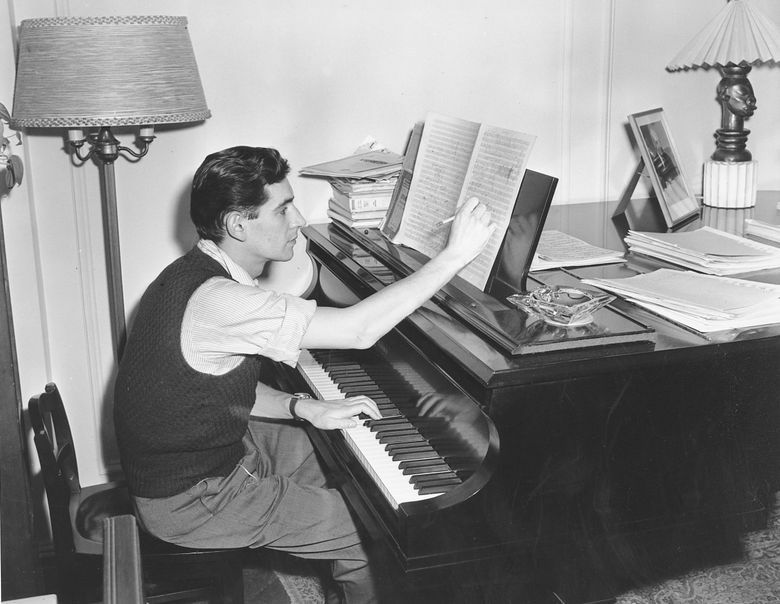 Prior to “Wonderful Town,” Bernstein had composed two ballets (including “Fancy Free,” the inspiration for “On the Town”); a one-act opera (“Trouble in Tahiti”); two symphonies (“Jeremiah” and “The Age of Anxiety”); another Broadway musical (1950’s “Peter Pan”; the full score unheard until 2000); and choral, solo vocal, piano and chamber music. 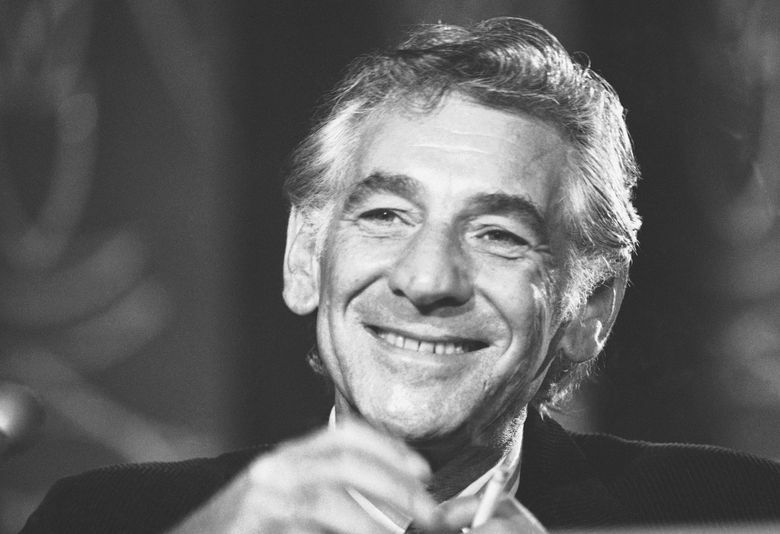 Bernstein had also begun what would prove to be a fruitful, career-long relationship with television, later culminating in his seminal “Young People’s Concerts” on CBS for 14 years. Bernstein, who was named music director of the New York Philharmonic in 1957, also had a deep love of theater and Broadway. Bernstein’s involvement in “Wonderful Town” came about because another composer’s music wasn’t working. A new score had to be written in just five weeks, or the production would lose Russell. Comden, Green and Bernstein spent those weeks in a hotel room, smoking and pounding out songs and instrumental passages. Seattle Symphony’s new principal clarinet Benjamin Lulich will be a featured player in “Prelude, Fugue and Riffs” (Herman was a clarinetist). Among the guest vocalists are baritone Kevin Deas, mezzo-sopranos Sheila Houlahan and Kristen Choi, and tenor Ross Hauck. Morlot promises a bit of movement (choreographer Katy Tabb has been engaged) and a lot of activity from Chorale members. The program’s inclusion of Alexandra Gardner’s world premiere — a short piece she says helps establish the tone for the evening — is a tribute to Bernstein’s championing of new works and American composers, such as Aaron Copland and Charles Ives.